“After much thought and prayer, I have decided not to be a candidate for Congress in Georgia’s Seventh district in 2010. I believe I can best advance conservative principles by continuing to serve as CEO of Century Strategies, LLC, and founding chairman of the Faith and Freedom Coalition. Century’s voter contact subsidiary and grassroots team will be involved in a number of races in 2010. FFC is growing rapidly, with over 150,000 members and supporters already, currently adding one new state chapter a week and 1,000 new members a day. In 2010 and 2012, FFC will register an estimated one million new faith-based voters and make tens of millions of voter contacts in what may be the largest conservative get-out-the-vote effort in modern political history. These nationwide efforts offer a much better prospect for changing the direction of the country than winning a Congressional race myself. In the end, I concluded I cannot run for Congress and carry out the plans I have for Century Strategies and Faith and Freedom Coalition at the same time. I had to make a choice. I believe electing 50 to 100 men and women of character and conservative beliefs to Congress and statewide office over the next two election cycles is a more efficacious way to advance the conservative agenda than seeking public office myself in 2010. 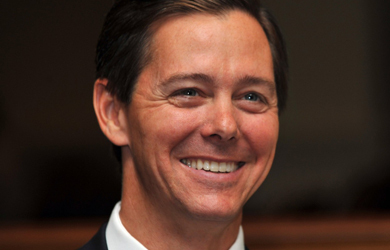 Ralph Reed, the former head of the Christian Coalition and a veteran Republican strategist, told a Des Moines crowd Tuesday night that he was helping establish an Iowa-based Christian political organization, and if he could raise $500,000, Hawkeye State politics would be changed for the better. With that money, Reed said his organization — the Iowa Faith & Freedom Coalition — can promise results like the nation saw in the gubernatorial races in Virginia and New Jersey, as well as the U.S. Senate campaign in Massachusetts. 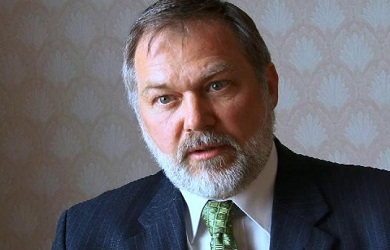 Reed said the national version of his organization was highly involved in those campaigns, each of which saw Republican victories on Election Night. Reed, who was speaking at an Iowa Christian Alliance event, then instructed staff to pass buckets around for people to donate money, promising that any funds raised Tuesday night will be matched by his national organization.